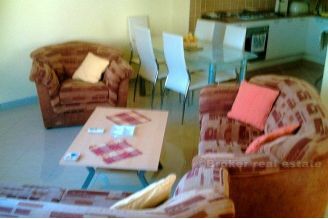 The apartment is about 120 sq meters with an additional outside utility room of about 6 sq meters. 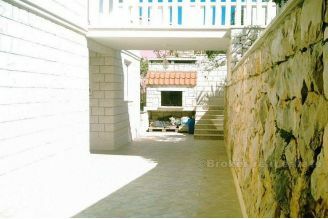 It has 3 double bedrooms, office, two bathrooms and showers, kitchen and living room. 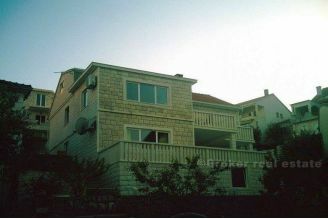 It stands on a plot of land of 460 sq meters which also belongs this appartment. 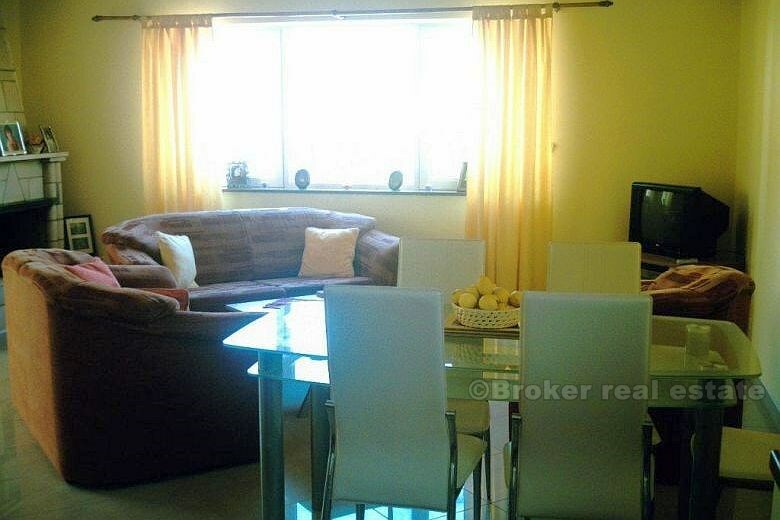 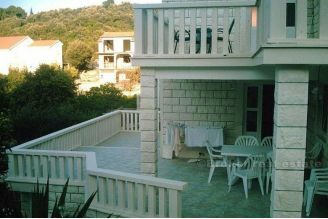 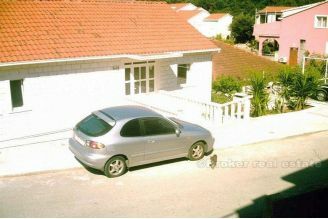 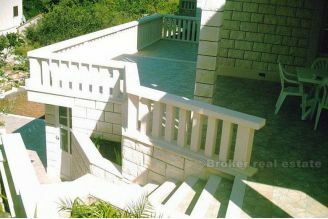 It is detached with its own entrance doors to the apartment and terraces and gardens. 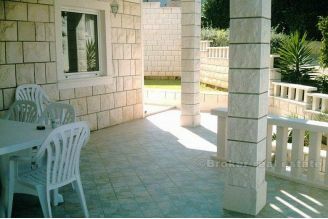 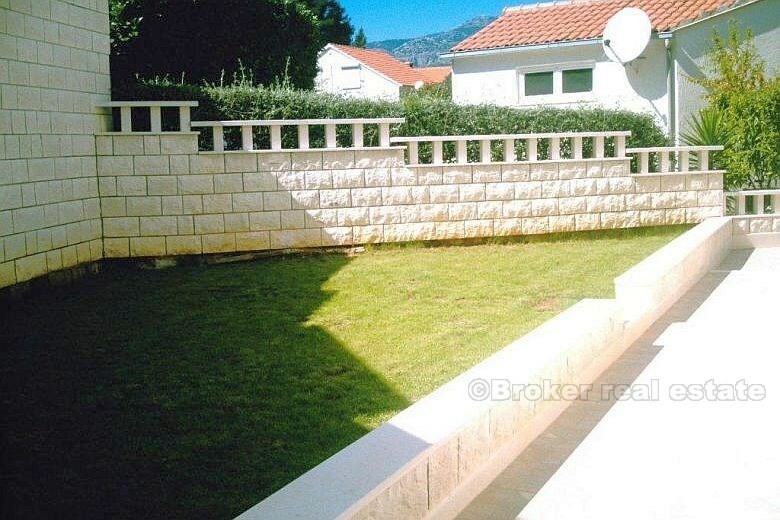 There is about 200 sq meters of tiled terracces with stone built BBQ. 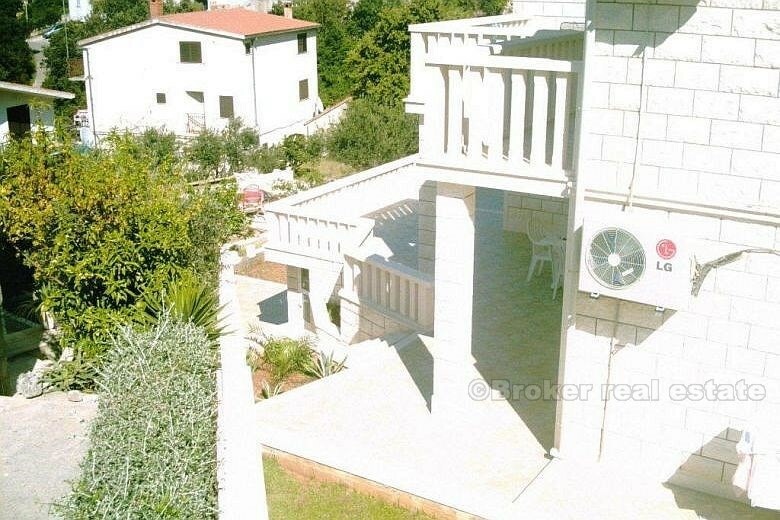 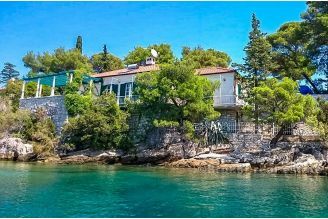 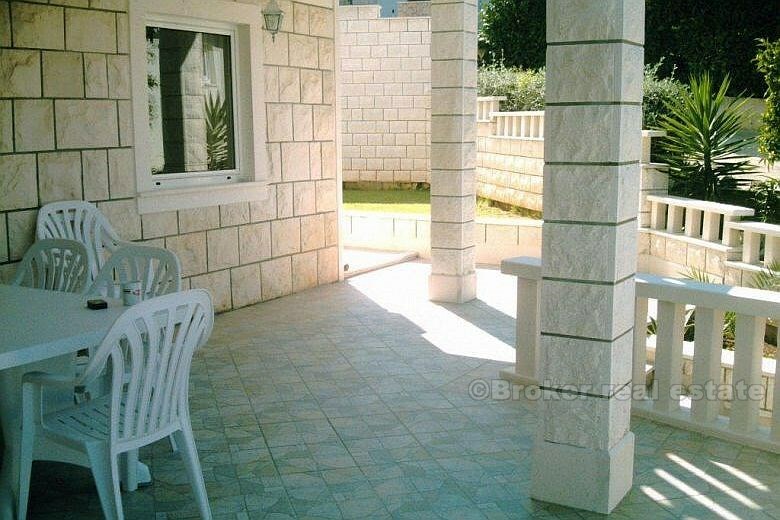 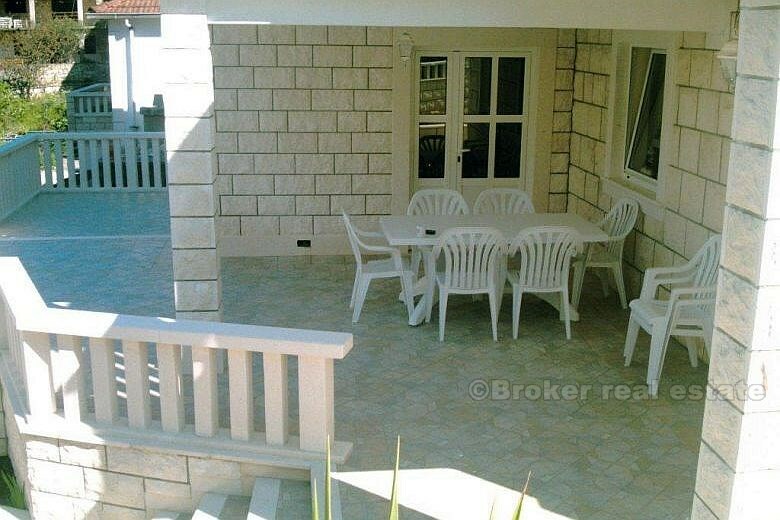 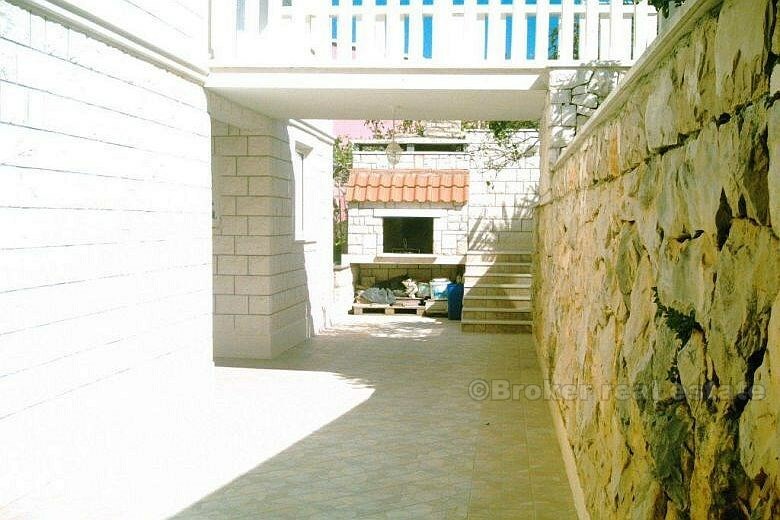 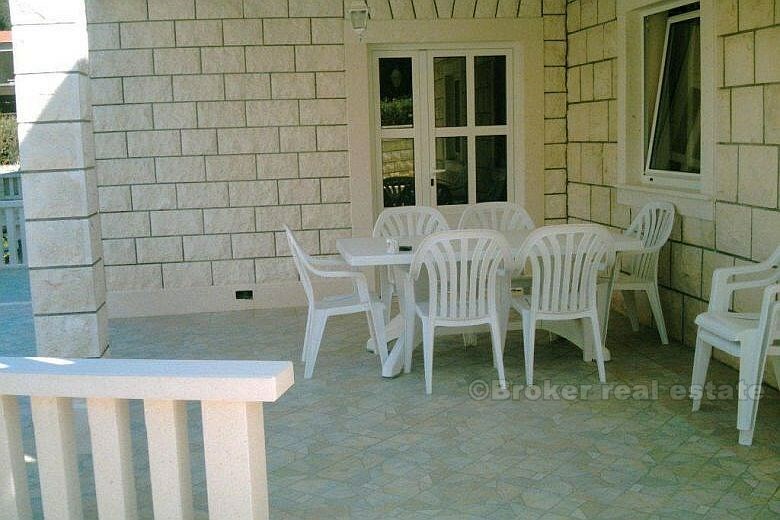 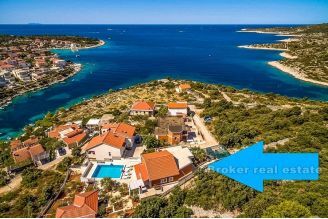 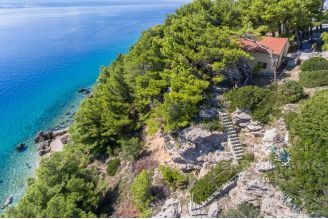 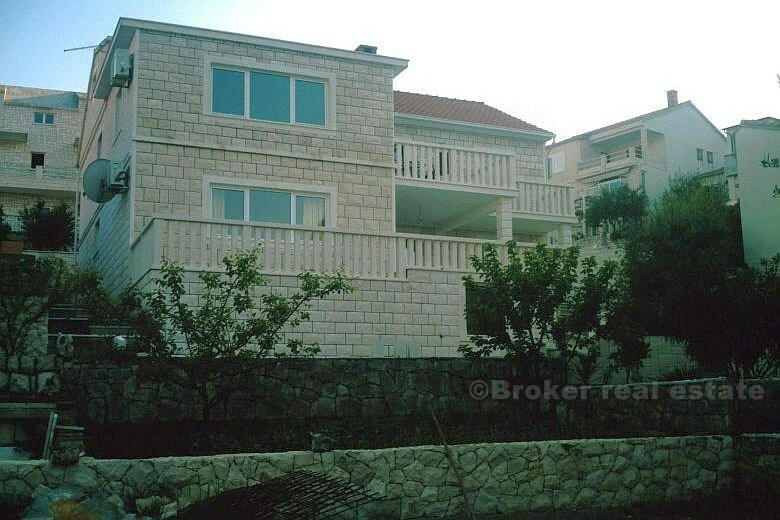 The location is about 1,5 km from the center of Korcula and 200 meters to the nearest beach with excellent views of the sea and Peljesac penincula. 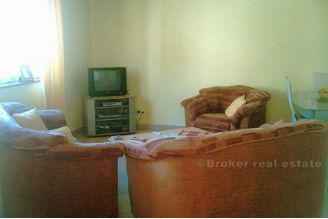 It is on sale fully furnished and ready to be moved into straight away.